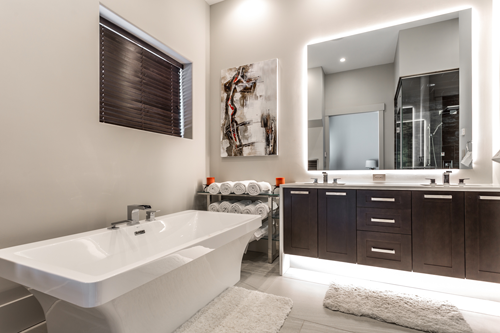 Bathroom renovations experts at RTA Contracting are experienced with a wide variety of tastes and styles. From traditional to modern, our team offers top quality fixtures and products so that you can design the bathroom of your dreams. We know how to navigate various aspects of the construction process so that our Calgary clients can keep focused on the main priorities in their life. We take enormous pride in our work and want to provide you with a high-quality product you can feel proud of. When you hire our team to do your bathroom remodel, we will begin by walking through the project design with you step by step. We’re happy to provide project planning assistance to all of our customers. We’ll provide you with options regarding plumbing fixtures, cabinets, and other items so you can customize your new bathroom to meet your needs. Our team is fully licensed and insured so you won’t have to be concerned about any safety issues when you choose us. We have over 15 years of experience working with clients in Calgary and make customer service a number one priority. 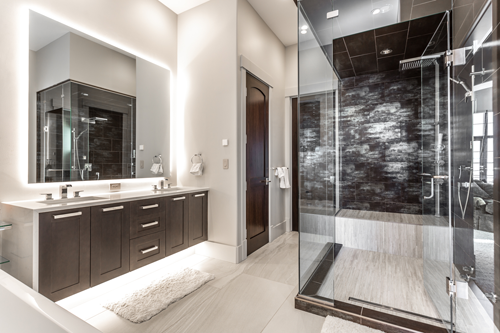 If you want a Calgary bathroom renovator that is professional and experienced, call RTA Contracting. We offer prompt project completion and a wide variety of services. Our Calgary team understands their field inside and out. We want to make the construction process as stress-free as possible for our customers. To learn more about our customer-focused approach or how you can become one of our clients, call our team now.